Columbia Lighting Stratus® Collection E-Series Recessed indirect fluorescent architectural recessed luminaire in matte white finish, has die formed code gauge cold-rolled steel housing. It has perforated light basket and high transmission overlay that provide improved optical efficiency as well as lamp obscuration. 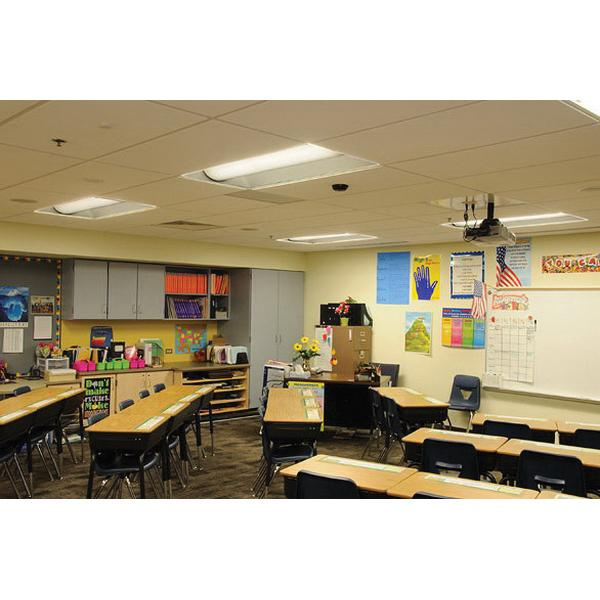 Grid ceiling mountable recessed luminaire uses three 17-Watt T8 lamps. Lamp with electronic T5, T5HO, instant or T8 programmed start ballast has voltage rating of 120 - 277-Volts. Recessed luminaire measures 24-Inch x 24-Inch x 4-3/4-Inch. Recessed luminaire is UL/cUL listed, CSA certified and NYC approved.